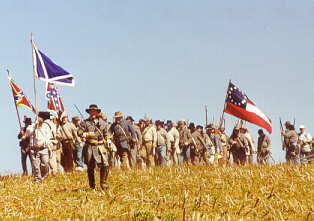 Confederate Troops On The March. 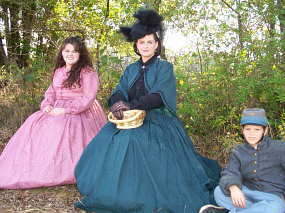 The Civil War living history battle reenactment was held on September 29, 30 and October 1, 2000 in Philadelphia, Tennessee. Cavalry and infantry and artillery recreated the battle of Philadelphia and Campbell Station. 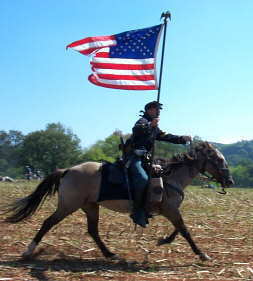 The Army of Tennessee reenacting organization and Sweetwater Valley Farms hosted this national event, with reenactors participating from all across the United States. 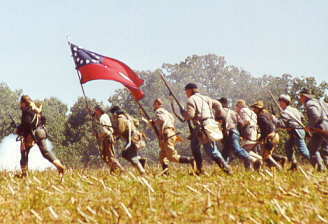 The "Affair at Philadelphia" portrayed CS General Longstreet's attempt to re-take Knoxville, which was protected by numerous forts under the command of US General Burnside. 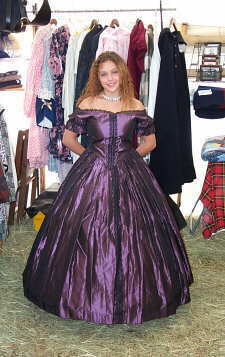 The event had 1860's period stores, Civil War ball & dance, period fashion show and demonstrations of Civil War camp life. 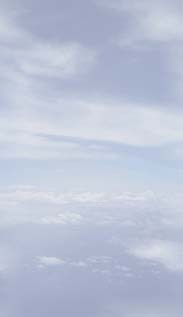 It was the first time for this event. 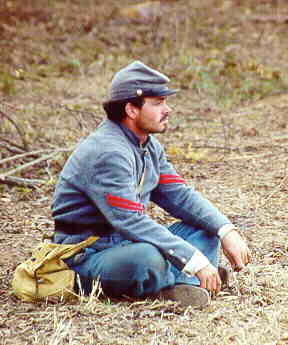 Check back later for detailed article of the Battle of Philadelphia. 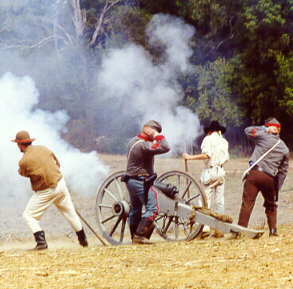 Confederate Artillery Firing On The Union Forces On The Ridge. 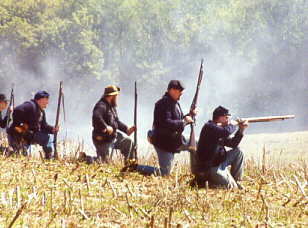 Rebels Charging A Union Stronghold.